Despite only leading eight of the 75 laps in Saturday’s Rock N Roll Tequila 170 at Mid-Ohio Sports Car Course, Justin Allgaier was the first racer to cross the finish line in claiming the checkered flag. Allgaier qualified seventh for the race, while second-place finisher Austin Cindric had the top qualifying time. Cindric would make good use of his starting position to lead 59 laps during Saturday’s Xfinity series race. Cindric led nearly all of the first 42 laps in the race, with Allgaier holding the lead for a three-lap period. Over the final 32 laps, a number of different drivers held first place at one time. Andy Lally held the lead from laps 43 to 49. After Cindric regained the lead for 13 laps, Christopher Bell was able to hold the lead briefly until Cindric regained it on the 65th lap. Allgaier would strike last, though, taking the lead on the 72nd lap and holding it throughout the end. Daniel Hemric finished third in the race, while Matt Tifft was fourth and Ryan Truex rounded out the top five. Christopher Bell, who finished 11th in the race, still leads the points standings with 771 points. Hemric and Elliott Sadler (sixth place) both have 754, while Cole Custer (seventh) has 752 and Allgaier is fifth with 751. Over the weekend at Mid-Ohio, there also were races in the Trans Am and F3 series. In the Trans Am race for the TA, TA3 and TA4 groups on Saturday, Ernie Francis Jr. finished first overall and in the TA group. Lawrence Loshak claimed second place and Boris Said was third. The top TA3 car was that of Mark Boden, who was ninth overall. He was followed by Tom Herb (10th place) and Marko Radisic (11th). Warren Dexter finished 13th to pace the TA4 group. Todd Napieralski (15th) and Steven Davidson (17th) followed in that group. In the T2 race, also held Saturday, Rafa Matos claimed first place. Tony Buffomante was second, while Scott Lagasse Jr. finished in third place. There were three races held in the F3 series — two taking place on Friday with the third running Saturday. Kyle Kirkwood took first in the first race, while Benjamin Pederson was second and Baltazar Leguizamon finished third. The same three racers finished in the same order in the second race of Friday. Kirkwood won again on Saturday, while Leguizamon finished second and Pederson placed third. 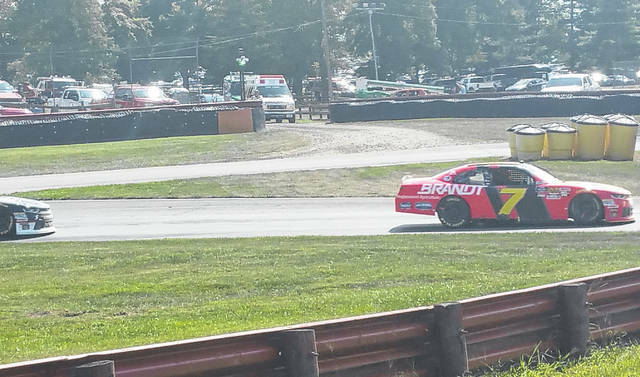 Justin Allgaier claimed the checkered flag on Saturday at the Xfinity series race hosted by Mid-Ohio Sports Car Course. 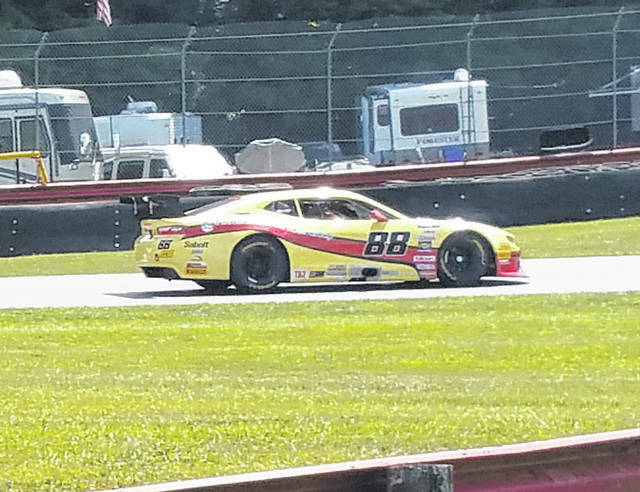 In the T2 race in the Trans Am series, Rafa Matos picked up a first place finish at Mid-Ohio Saturday. 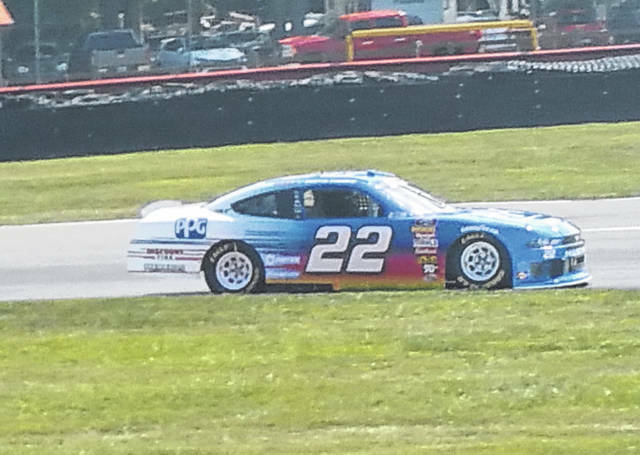 Austin Cindric led most of Saturday’s Xfinity race before finishing in second place.